We use many mills from all around the globe such as Italy, India and France. 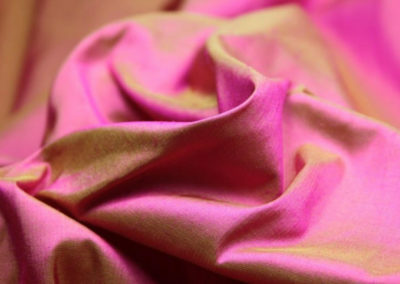 With our extensive contacts we can custom make or source any textile. 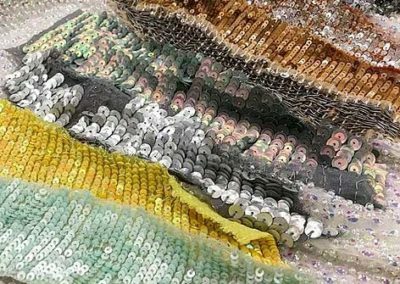 Whether it’s beading, dying or embroidery, the re-creation of an old fabric or a fabric design you wish to create please fill out the form below or call us on 020 7287 2881. Please note that minimums apply, depending on what kind of fabric you would like. 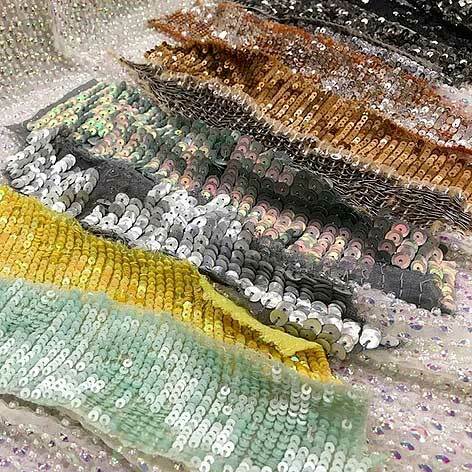 Read our blog post about fabrics we made to order for Mama Mia the Musical here. 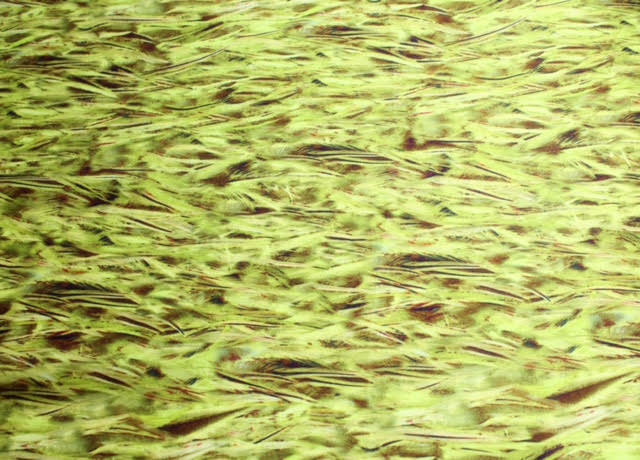 Our mills are very talented, whether you have an image or a sample. They can make to your specifications, a shipping sample will be made for approval. Please note that minimums apply. Looking for a specific colour? Present your pantone colour. 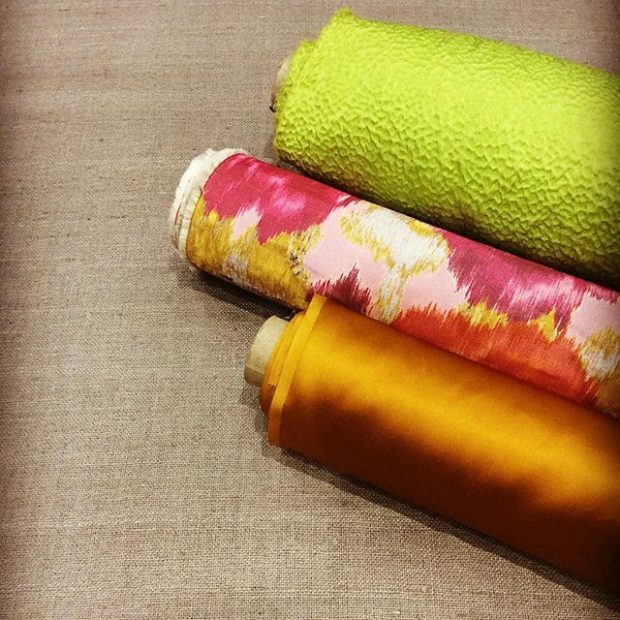 We can then help you select what type of fabric you would like… and voila you have your very own exclusive fabric! Please note that minimums apply. 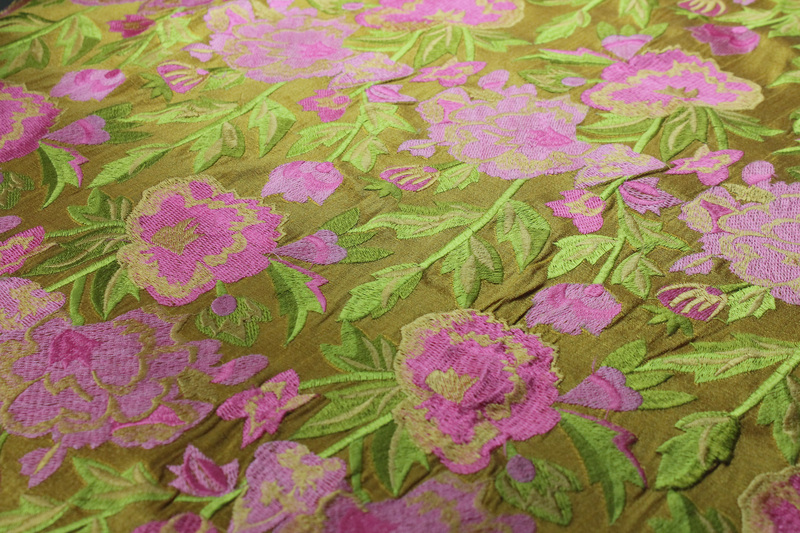 Embroidery is perfect for many things such as, soft furnishings, coats and dresses. If you have a specific pattern in mind but cannot find it anywhere, we can replicate a design or make one from your very own drawings! Firstly, show us your design. 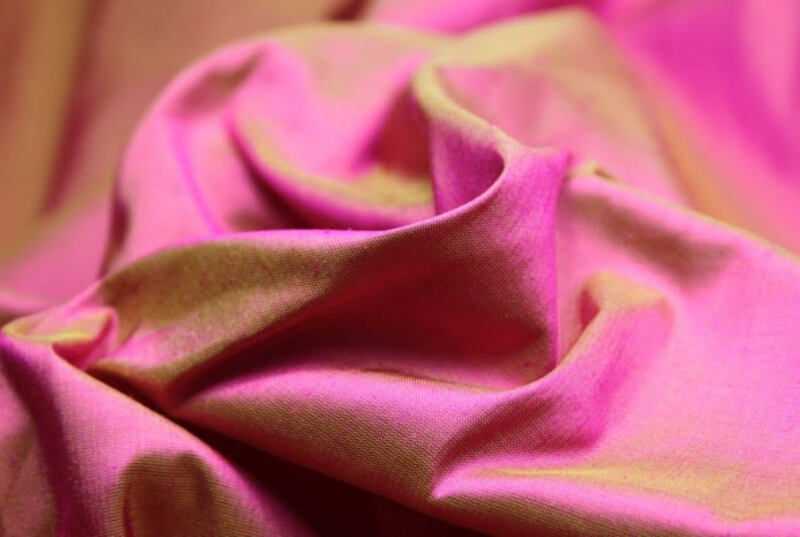 Choose a base cloth, it can be anything from duchess satin, tussah or lightweight cotton. We can then select what type of yarns and colours. Please note that minimums apply. Getting married? Or going to a special event? Our staff are very talented and knowledgeable, we can help you to replicate a favourite dress or design one from scratch. Firstly we would find the perfect colour for you! Secondly, talk through different base cloths and their advantages. Lastly, talk you through the many different types of beads and the different effects they give. Please note that minimums apply. Looking for a specific print? 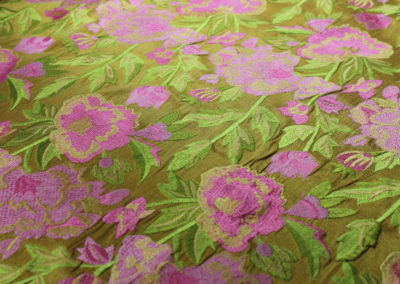 We have printed on many types of fabrics wether it be for bridesmaids, film and theatre costumes or decorative purposes. 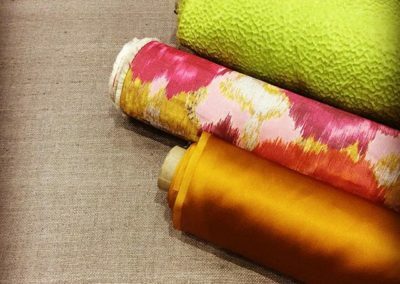 Our staff will help you find a suitable base fabric, specific to what you’re creating. 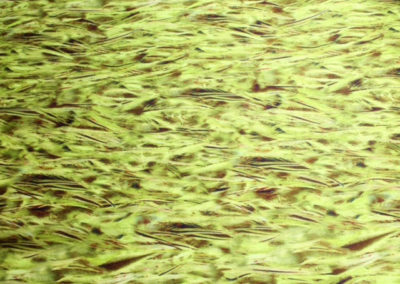 We can print on any type of fibre; silk, cotton, linen or polyester. Please note that minimums apply.